With social media having matured as a marketing channel, brands are now catching on to the rise of influencer marketing and adding this tactic to their digital marketing mix. Influencer marketing is a form of word-of-mouth marketing that focuses on using 'influencers' or 'brand ambassadors' to drive a brand's message to its target market. Rather than marketing directly to a large group of consumers, brands rely on the idea that potential customers are more likely to be receptive to recommendations from a person they already follow and admire, in comparison to traditional advertisements executed by the brand itself. Breaking it down, influencer marketing can be seen as a combination of two other forms of marketing: social media marketing (brand ambassadors are expected to promote the brand through their social media pages) and content marketing (either the brand creates content for the ambassadors, or the ambassadors create original content themselves). The second component aligns with the finding that 70% of consumers want to learn about products through content as opposed to traditional outbound methods of advertising. In the past few years, brands have invested in targeting influencers and brand ambassadors i.e. those with social clout to spark conversations and fuel user-generated content, while engaging with their products or service. More often than not, it has worked very well. And as gratitude for brand advocacy, these individuals have been rewarded. 2016 saw a shift in this dynamic and has had consumers trying to prove themselves to brands to get their attention. Whether it's a test of skills, creativity, good taste or just competitive fun, watch for consumers going the extra mile to turn heads, all to join an exclusive community of others who have done the same. According to the Rhythm One, for every dollar spent on an influencer marketing strategy, the average earned media value was $9.60, equating to a 960% return on investment (ROI). Another study by TapInfluence and Nielsen Catalina Solutions found that influencer marketing not only generates online sales but impacts offline ones too. Influencer-exposed households purchased 10% more products than the control group, and influencer posts delivered an ROI that was 11 times the ROI of banner advertisements after 12 months. Although influencer marketing can be implemented on any social platform, Instagram and Facebook are currently clear leaders of the trend. Facebook - by reason of its status as the most popular social networking platform by a substantial margin; and Instagram - a newer but rapidly growing influencer community and Facebook's closest competitor (though still owned by Facebook), especially among Millennials. At the heart of the success of influencer marketing lays the credibility of the brand ambassador. What brands are paying for are key influencers who have already captured the audience they are trying to reach. This status allows a brand to connect with its target audience in a genuine and humanized way, not otherwise offered by traditional advertising. By communicating through brand ambassadors, brands can also avoid some of the scepticism evoked by direct marketing messages. The more stringent the test, the greater the status. And what better way to bring likeminded people together from achieving a difficult challenge. Embracing the colloquialism Netflix and Chill, Netflix unveiled "The Switch", a button that one with "a solid understanding of electronics and programming" could build that automatically switches on the TV, launches Netflix, silences your mobile, and dims the lights. 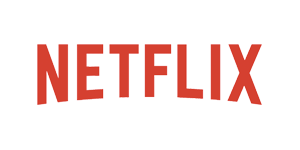 Why it worked: The complex craft instructions posted on the company's website encourage users to have a go and offer up their creative ideas to make their Netflix experience even more amazing (or as we see it, more reasons to never leave our couches). Lee Jeans launched a campaign across 32 cities in China to promote their range of heat-retaining denim called Magma Fusion. 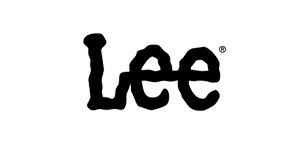 Instead of rallying a team of product testers, Lee Jeans posed the challenge to the public and paying customers were encouraged to explore their cities while tracking their movements with the Warmth Tracker WeChat app. Lee's "Warmth Index" points could be accumulated when users scanned QR codes in scattered locations. These points could be used towards more Magma Fusion denim products and access to exclusive events. Why it worked: Innovation, engagement and a sense of purpose. It was a breakthrough back in 2015, since no other brand had thought to embed a tracker on their WeChat platform to reward fan engagement. 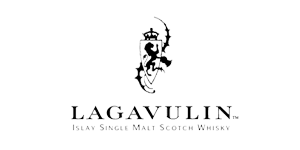 Lagavalin wanted to create a campaign to make their product more "culturally relevant" to the younger generation. So it chose Nick Offerman - a popular actor amongst younger generations who plays the whiskey-loving Parks and Rec character Ron Swanson - to be featured in a video where he sits in silence next to a fireplace, sipping contently on his whiskey. The idea was simple, but highly effective, and capitalized on momentum from an already-successful campaign. Why it worked: This campaign was so effective because Lagavulin found exactly the right brand ambassador to represent its brand. Both Offerman’s public persona and on-screen character was the perfect match for the product and the target audience. Zara became one of the most successful clothing retailers with $2.3 billion in annual profits in 2015, partly because of the brand's decision to leverage its social media marketing campaign through influencers. 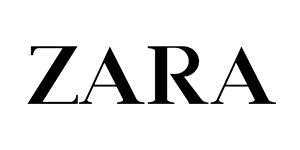 By collaborating with top Instagram users who were well known for being fashion-focused, Zara was able to portray their products to be more accessible than high-fashion clothing. Why it worked: One of the most notable features of the influencer campaign was Zara's choice to hand over the creative control of the brand to its brand ambassadors, entrusting them with the content creation of its own page. The Bubble Foundation began the Wear Yellow for Seth campaign for Seth - a young boy with a life threatening disease who loved the colour yellow. His parents asked the world to 'wear yellow for Seth', take a photo and share it with the hashtag #wearyellowforseth, so they could show him the pictures. The campaign went viral, especially once celebrity influencers such as Ashton Kutcher got on board. Why it worked: This is a perfect example of how the size of the brand is irrelevant as long as its mission is clear to the influencer. Individuals in this case were not urged but instead became influencers (or brand ambassadors) by reason of their connection to the campaign's message. Find the right fit: Choosing an influencer that aligns with your brand means their audience aligns with your brand and your relationship with them will be long lasting. Choosing unsuitable influencers on the other hand can lead to costly campaigns and wasted influence. Be consistent: Following on from the previous point, brands need influencers who produce content with a similar look, feel and tone to its own. This makes it much easier for the brand and influencer to share, swap, and collaborate without creating a disjointed feel in the content. Besides, influencers who have worked hard to build a following will not work with a brand if it makes their own personal brand seem inconsistent. More followers do not mean greater influence: It is the influencer's ability to prompt a response or action from their audience that makes them truly valuable. Marketing efforts using micro-influencers (an influencer with 10,000-100,000 followers) have resulted in the best balance between reach, engagement and conversions. Influencers with fewer followers are usually more engaged with their audiences, while those with more seem less so. Build a genuine connection: Just like how employers can be overwhelmed with applications, influencers are often overwhelmed with requests from brands to collaborate. Try to develop a relationship with an influencer before asking them to promote your product or brand. Follow them, comment on their posts, share their updates – let them know that you are actually interested in their content. Mutual value: Prospective brands aim for long-term influencer relationships and the key part of any relationship is mutual value. It's easy to fixate on the value that influencers can bring to your brand, but remember that it's equally important to ensure your influencers get value (think beyond financial compensation) from partnering with your brand. With a growing obsession to be insta-famous, this trend will lend itself well to consumers working hard for brands, giving you marketable content, and even actionable ideas to include as part of your digital strategy.